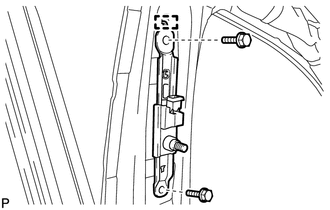 (a) Engage the adjuster positioning hole with the guide and install the front shoulder belt anchor adjuster assembly with the 2 bolts. 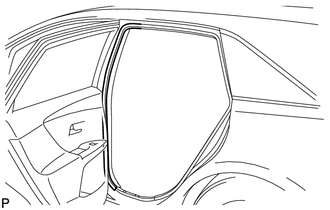 (b) Install the front seat outer belt assembly with the bolt. 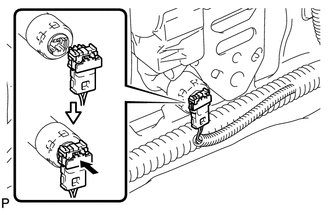 (c) Connect the connector and lock the locking button as shown in the illustration. 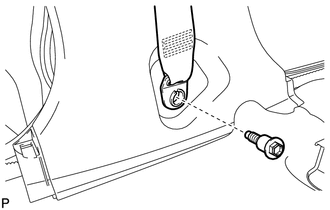 Securely lock the locking button. 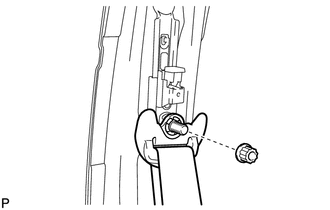 (d) Connect the shoulder anchor of the front seat outer belt assembly with the nut. 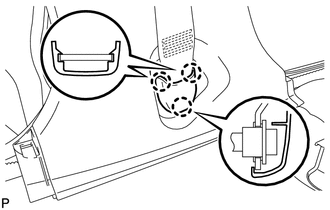 (a) Install the floor end of the front seat outer belt assembly with the bolt. (b) Check if the ELR locks. 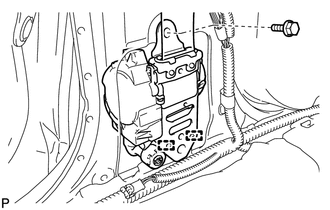 (a) Engage the 3 claws to install the lap belt outer anchor cover. 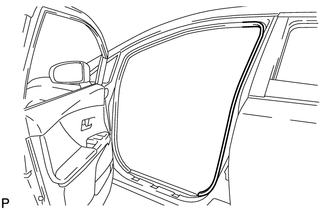 (a) Connect the front door opening trim weatherstrip.